Bang! is the newest act to literally hit stages around the nation! 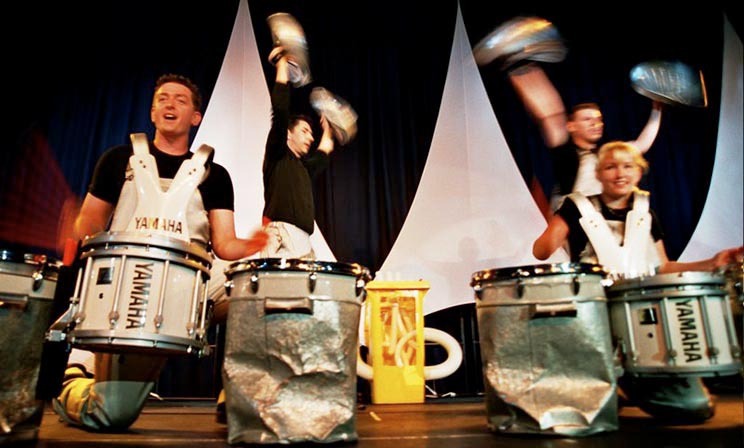 Utilising the blistering talents of four percussionists, it fuses together an action packed show. Bang! features the blistering talents of four percussionists beating out wild rhythms of organised chaos. They have a mind boggling array of stick tricks and funky rhythms up their sleeve and if that’s not enough, drums may even become airborne in their performance. Energising grooves, stick tricks and marching drums made famous by the Sydney 2000 Olympic Opening Ceremony, create an intoxicating result never before seen on Australian stages. Hands are a blur as Bang plays musical notes fast and furiously while beating out wild rhythms of organised chaos. Bang! delivers a powerhouse show. Be amazed as they flip and twirl their sticks with precision while running across the stage wearing an eclectic collection of drums, some in excess of 25 kilograms.